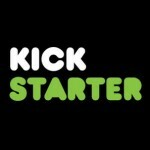 In summer 2010 we ran a very successful crowd sourcing campaign on Kickstarter. We got very generous support from a lot of people and we’d like to thank each and every one of them here. You’re all rock stars in our book and we really appreciate your generosity. THANK YOU!